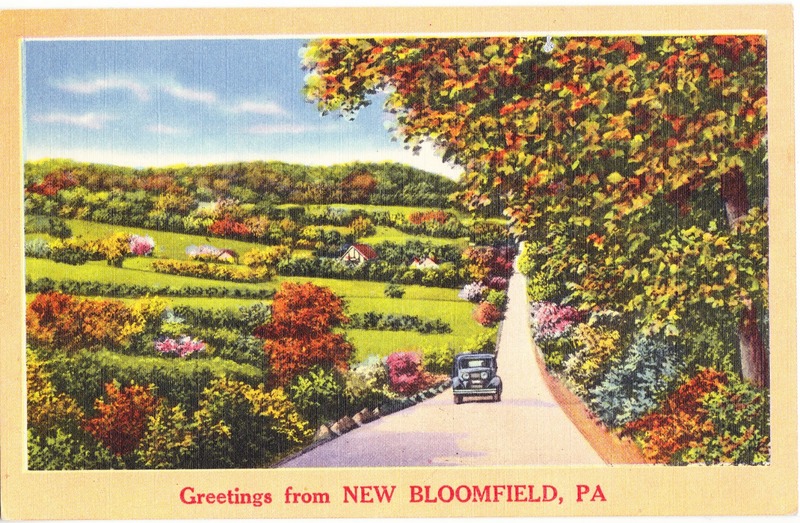 Papergreat: Saturday's postcard #2: "Greetings from New Bloomfield, PA"
Saturday's postcard #2: "Greetings from New Bloomfield, PA"
Caption on back of card: None. ... The postcard was mailed with a red, two-cent Thomas Jefferson stamp. ... Blank "Greetings from" postcards, by the way, are excellent to use for requesting Summer Tickets to the Late Show at the Ed Sullivan Theater.